We started our weaning journey at around 6.5 months which is probably quite late compared to most babies. For us there was no rush purely because she was satisfied with her milk and at the time she was only drinking between 5-6oz of milk max on each feed so there was no hurry. We like most started on baby rice for around 1-2 weeks then slowly moved over to *My Little Piccolo pouches of smooth organic blend. These are all for stage 1 of weaning and suitable from first tastes - a range of smooth fruit and vegetable purees. If you go on the Piccolo website you can get the recipe to make these at home yourself and some of them only take as little as 15 minutes in the blender so you can make batches for freezing. Nicole is not fussy on food at all and so far she's eaten everything we have given her which is good but me and hubby aren't fussy eaters so hopefully she will continue to be the same. We are now 3.5 months into weaning and so far so good. From 8 months we started feeding her food with more of a texture and making chinese congee for her meals which is basically rice porridge with meat and mixed with various slightly mashed veg and fish. She absolutely loves fish in particular bass and salmon. I plan on giving her steamed veg to hold and feed herself next week and see how she gets on. We are still feeding Piccolo pouches every other day just for variety. I know for some parents weaning can be difficult and has it's up and downs but I think introducing as many flavours at possible at the beginning really helps and Piccolo pouches are great at doing that as their range is so varied. Who would have thought sweet potato, beetroot, apple and pear all go together! 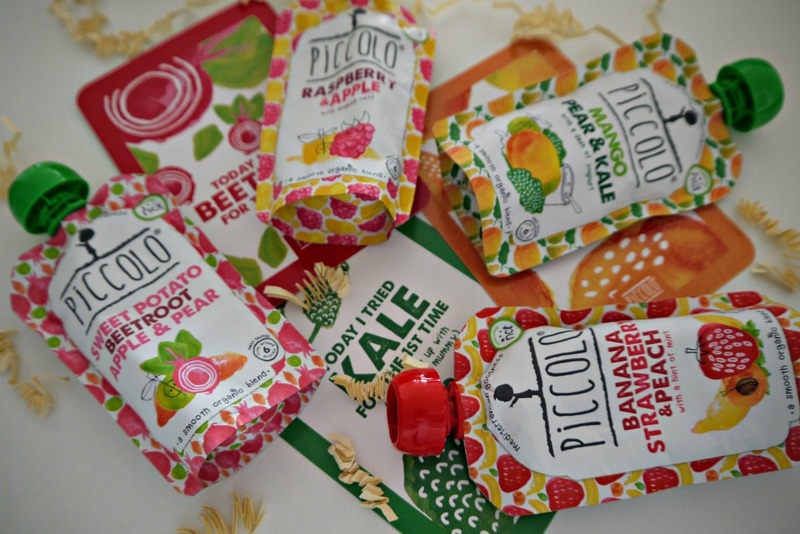 Piccolo pouches are available in Waitrose / Whole Foods and a number of other online retailers. To search for your nearest click here.